Panama City, Panama – 27, September 2017 : Mahindra Comviva, a global leader in mobile financial solutions, announced today that it has been selected by Geva Group, a fintech company headquartered in Panama as its technology partner for MFS business. With this partnership, the two companies are joining hands to offer innovative mobile financial solutions (MFS) to telecom operators, banks, financial institutions and consumer packaged goods (CPG) companies in Central America and Caribbean. Comviva’s strong focus in innovation, development and deployment of mobile financial services is an ideal fit for Geva Group that plans to bring out mobile and digital payments to businesses in the region and expand the concept at a rapid pace. Comviva’s leadership and experience in building a robust ecosystem for MFS businesses across the globe would help the Geva Group to grow in the region. Geva Group will bring a wealth of experience and understanding of Central American and Caribbean markets which will help Comviva to expand its footprint in the region. Comviva is a global leader in mobile financial and prepaid recharge solutions, powering over 130 deployments in telecom operators, banks and financial institutions in more than 55 countries serving over 1 billion consumers. The company provides mobile financial solutions catering to both issuing as well as the acquiring businesses. On the issuing side, mobiquity® suite, which includes mobiquity® Wallet and mobiquity® Money , delivers integrated and contextual digital payment experiences to consumers. 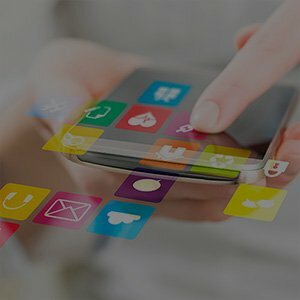 The mobiquity® Wallet ushers in an evolution in mobile commerce by integrating payments, identity, loyalty, mobile marketing, location and social features and leverages technologies like NFC (HCE), BLE, QR Codes, biometrics, geo fencing and sound based payments creating frictionless payments. Meanwhile, targeting to drive financial inclusion, mobiquity® Money is an all – inclusive platform that equipsun – banked and under – banked consumers with a stored value account linked to their mobile number enabling them to perform multiple financial transactions from their mobile phone. On the acquiring side, Comviva’s payPLUS is a unified payment acceptance platform that allows merchants to accept several payments instruments such as cards, digital wallet and mVisa across channels such as In – Store, App & Web.